Timor-Leste, civil society groups have claimed. field in the Timor Sea. transitional borders on the east and west. remains in Australian waters but could shift. stipulates “no compensation for past exploitation”. $2.4bn in revenue from the other fields. solution found on the boundaries. to the party” in the untested conciliation process, she had been proved wrong. and “the next generation of Timorese may not be as tolerant as he’s been”. either side of the Timor Gap. weight to Indonesian territory,” he said. continue negotiations about how to split and develop Greater Sunrise. pushing for the gas to be piped to Darwin. processing plant would bring about $25bn in downstream revenue to his country. The UN Compulsory Conciliation between Australia and Timor-Leste, which aims to set a boundary in the Timor Sea, appears to be inching towards resolution, with details emerging in the Portuguese media last week of a deal involving a median line boundary and a revenue-sharing arrangement for the Greater Sunrise fields. But the history of this long-standing dispute remains contested. A recent Interpreter article by Hugh Wyndham – former head of the Law of the Sea branch of the Department of Foreign Affairs (DFA) – which discusses Australia’s tactics during the final days of Timor Sea treaty negotiations with Indonesia in 1972, contributes interesting, if narrowly focused, background to the dispute. Wyndham takes issue with Michael Rose’s review of my book Crossing the Line: Australia’s Secret History in the Timor Sea, arguing that “this commentary … overlooks the context in which the 1972 negotiations with Indonesia took place”. Wyndham’s criticism is curious given his article doesn’t engage with the post-colonial and geo-political contexts of the negotiations, and instead concentrates on the technical details of the last few days of the talks. Crossing the Line is based on examination of cabinet submissions, cables, briefs, and other declassified documents from a range of departments in the National Archives of Australia. It clearly emerges from the archives that by the early 1970s, Australian officials realised the only way they could confirm the validity of Timor Sea permits unilaterally issued by Australia to major resource companies in the early 1960s was to negotiate seabed boundaries with Indonesia and Portugal. As Wyndham describes, Australia claimed “continental shelf rights” to the Timor Trough – a deep channel parallel to the coast of Timor, 30–50 nautical miles offshore. But he does not explain the basis of Indonesia’s claim to the median line. Indonesia argued the trough was a dint in Australia’s continental shelf that extended beneath Timor. International law at the time dictated that where states were on the same continental shelf, the boundary should be the median line. In the archives I found a declassified report on the geography of the Timor Trough, by the Australian Bureau of Mineral Resources (BMR), which was requested by the DFA ahead of the first round of negotiations with Indonesia in early 1970. The report stated there was no evidence of oceanic crust at the bottom of the Timor Trough – advice that supported Indonesia’s position. Needless to say, the advice was ignored. Geologists today endorse the view put by the BMR. The BMR also provided advice that the area north of the median line, opposite Portuguese Timor, was highly prospective for petroleum. But Australia refused to negotiate with Portugal until after a deal was done with Indonesia. I argue that this strategic decision, which is not explained in the declassified files in the archives, set up the scenario under which, should Portuguese Timor become part of Indonesia, it would be a simple exercise to close the gap in the area between Portuguese Timor and Australia – the Timor Gap – with a ruler, joining the end points of the 1972 treaty. Wyndham insists that such a view was not a “feature in policymaking leading to the 1972 negotiations with Indonesia”. The declassified records show that in 1963, the same year of Australia’s unilaterally issued Timor Sea permits, the Australian Government accepted that Portuguese Timor would eventually become part of Indonesia. And in 1965, cabinet decided not to negotiate with Portugal about the Timor Sea boundary issue because Australia didn’t want to “imply a degree of acceptance on our part of Portugal’s right to share in decisions permanently affecting the future of the area”. While cabinet decisions do not bind future governments, this assumption helps contextualise Australia’s refusal of Portugal’s numerous approaches to negotiate a boundary before the 1972 treaty with Indonesia was signed. After the 1972 treaty left the Timor Gap, Australia approached Portugal to close the end points with a straight line. An offer Portugal rejected. From there, it appears Australia considered Portuguese Timor becoming part of Indonesia as a potential way to close the gap. A November 1973 DFA brief makes clear that “control of Portuguese Timor passing to Indonesia” was a possibility, and that DFA expected that if that happened Indonesia would agree to “a drawing of a boundary line connecting the two extremities of the agreed Australian–Indonesian boundaries”. The Timor Sea boundary dispute with Portugal escalated in January 1974 when a US company was issued an exploration permit to the median line, overlapping seven Australian permits. Australia’s hard-line position continued even after a revolution in Portugal in April 1974 led to a new government that agreed to grant all Portuguese colonies independence. A further document from the time shows DFA again advised that Portuguese Timor would inevitably be incorporated into Indonesia, and warned not to let prospects for the settlement of Australia’s “seabed territory (and oil rights) dispute with the Portuguese” appear to colour Australia’s attitude. The stakes were raised further when Woodside Petroleum struck oil and gas in the Greater Sunrise fields in mid 1974, very near the eastern end point of the 1972 treaty, and geologists advised the fields extended west into areas claimed by Portugal. The diplomatic clash continued until Indonesia invaded Portuguese Timor in December 1975. Australia’s decision to negotiate with Indonesia ahead of Portugal, leaving the Timor Gap between Australia and Portuguese Timor, coupled with the expectation Indonesia would close the gap with a straight line (unlike Portugal), gave Australia a multibillion-dollar interest in an Indonesian takeover of Portuguese Timor. Nearly six months after an election that left Timorese politics in a state of protracted uncertainty, the manoeuvrings in the young nation’s parliament seem likely to reach their endpoint next week. Last month the Fretilin-led minority government failed to pass a budget rectification measure needed to fund new ministries and programs. The rejection doesn’t itself threaten the government, but the opposition Parliamentary Majority Alliance, or AMP, has also tabled a motion of no-confidence that could be heard as early as 8 January, when parliament resumes. If it’s passed, the government will fall. The political standoff emerged on 19 October when three opposition parties ­ CNRT, PLP and Kmanek Haburas Unidade Nacional Timor Oan, or KHUNTO, together controlling thirty-five of parliament’s sixty-five seats ­ rejected the government’s program. Fretilin had narrowly won the most seats, twenty-three to CNRT’s twenty-two, in the parliamentary elections last July. While a Fretilin-led coalition with smaller parties seemed likely after CNRT resolved to sit on the opposition benches, Fretilin’s negotiations with the PLP (eight seats) and KHUNTO (five) eventually faltered, though not before a short-lived alliance with PD (seven seats) and KHUNTO saw Fretilin’s Aniceto Guterres elected president (or speaker) of parliament. Ultimately, Fretilin formed a thirty-seat minority coalition with the Democratic Party, or PD. On 16 September, with no alternative majority coalition being proposed, president Francisco “Lú Olo” Guterres, also from Fretilin, appointed the first minority government in Timor-Leste’s short constitutional history. The executive was bolstered by some well-regarded independents, including José Ramos-Horta, and a scattering of ministers affiliated with other parties. The AMP didn’t announce its alliance until four weeks later. But it soon demonstrated its control of parliament by rejecting the government’s program, and it has firmed up further as an alliance since then. The AMP hasn’t questioned the constitutionality of the president’s actions, but it has referred to them as “imprudent,” pointing to the political unsustainability of the minority government and offering the AMP as an alternative if the government falls. The lack of parliamentary support for the government’s program is now the central political fact of the standoff. The AMP parties are likely to establish a formal coalition if an early election is called, and it will clearly be a formidable force. Relatively little of substance has changed since October, apart from the thwarting of the government’s budget rectification bill and a decision by the parliamentary president to delay opposition motions that would threaten the government and refer a motion for his own removal to the courts. Parliament also failed to hold certain plenary sessions in December, in apparent breach of its own regulations. These tactics seemed designed to delay the second rejection of the government program until a time closer to 22 January, the earliest day on which the president can dissolve parliament and call early elections. The standoff has also revealed some grey constitutional areas. It’s unclear, for instance, how long a government can delay re-presenting its program, though some commentators argue that the thirty-day limit for the first presentation is implied for the second. For its part, the opposition has boycotted sittings of the parliamentary committee on budget and finances, effectively preventing its operation, on the basis that a government that is not fully invested by parliament can’t pass such measures. Inflammatory rhetoric has also increased, with prime minister Mari Alkatiri claiming the rejection of the government program represented an attempted golpe, or coup, and the opposition calling for the prime minister to step down. These developments highlight the apparent return of “ belligerent democracy” after the informal power-sharing government of CNRT and Fretilin from 2015 to 2017. To an extent, the current standoff is a clash of emerging conventions in Timor-Leste’s democracy. Similar political systems tend to have a default presumption that the most-voted party will lead a coalition government. In Portugal, for example, that convention stayed in place for thirty-nine years after the restoration of democracy in 1976. This view ­ which Fretilin has articulated consistently, in victory and defeat, at previous elections ­ remains central to the government’s case, though certain caveats ought to be noted. First, while minority governments are perfectly constitutional, majority support in parliament is still required to pass the program. Indeed, Portugal’s thirty-nine-year run ended in 2015 in similar circumstances. Second, the convention might best be seen as first right to attempt to form government, which Fretlin was given last year. Most importantly, though, Timor-Leste is entitled to develop its own political conventions, which are likely to emerge, within the bounds of the constitution, through presidential practice. It could be argued that this occurred when the CNRT-led coalition was installed in 2007, though it is also true that a majority alliance was evident far earlier when president Ramos-Horta was in the process of forming government in 2007. Throughout this period, Fretilin has pointed to its parliamentary support for the budgets put forward by the CNRT-led government in 2013 and 2014, and its cooperation with the 2015–17 government, which relied on informal power-sharing. It also argues that its program should be held accountable by parliament, rather than simply rejected. Critics have countered that the 2015–17 CNRT-led government saw a younger Fretilin figure, Rui de Araujo, installed as PM ­ a vital concession to securing cross-party unity. While talk of “deals” around generational handover overstate the formality of the 2015–17 arrangements, and it is normal for the leader of the most voted party to assume the PM’s role, post-election negotiations may have proceeded more smoothly if Mari Alkatiri had replicated Xanana Gusmão’s move to a position of backroom power. The generational debate is largely one of form rather than content, as both men will remain powerful figures in any resolution. Gusmão’s lengthy absence from Timor-Leste, now referred to jokingly by Fretilin as a peregrinação, or pilgrimage, was largely necessitated by the intense maritime boundary negotiations with Australia and commercial joint-venture partners. But while his decision not to return during various breaks in the talks is portrayed by supporters as “leaving it to a younger generation,” it has tended to highlight how central he remains to any political resolution. Some see a personality contest between Alkatiri and Gusmão, but many East Timorese see a deeper clash between modes of governance and inclusion. While Fretilin’s attempt at forming government was unquestionably inclusive ­ it involved a coalition with PD, with whom it previously had fractious relations, and included Ramos-Horta and other important independent figures ­ Gusmão is still seen as the superior proponent of “big tent” politics. The current impasse has also brought to the fore lingering divisions between those ex-resistance figures who were active on the external diplomatic front during the Indonesian occupation and those who were involved in military resistance within the country. Some newspapers have used this potentially divisive theme openly in headlines. The AMP reunites the key military resistance figures of Gusmão and Ruak, who were at loggerheads earlier last year. The fact that Fretilin and the PLP’s platforms have, at face value, more in common than either have with the CNRT highlights the importance of resistance-era alignments. Developments in the party system are also significant. The strong possibility of a formal AMP coalition if parliament is dissolved is an acknowledgement that finishing first matters, though perhaps more as a pragmatic accommodation of the current president’s view rather than as an enduring statement of principle. Another important development is the recent emergence of the National Democratic Forum, or FDN ­ a group of smaller parties that were unable to clear the 4 per cent hurdle in 2017 ­ with the stated aim of supporting the AMP. Latest reports suggest at least five parties intend to register as a coalition, including sub-threshold parties that did relatively well in 2017, such as PUDD, the UDT and Frente Mudanca. Together, they would have a good chance of exceeding 4 per cent; if that’s the case, their alliance would make it more difficult for the major parties to increase their seat share. This would particularly disadvantage Fretilin in the event of an early election. Balancing this, Catholic Church commentary on the minority government has been relatively positive, a major shift from the 2005–07 era. With the drama approaching its endpoint, President Guterres will soon be called on to resolve the impasse. He has three paths. He could dissolve parliament and seek fresh elections. This is the path favoured by Fretilin, and remains the more likely, though not inevitable, outcome. (Intriguingly, this option may require positive parliamentary approval of election expenditure.) He can seek a solution within the current parliament, inviting the second-largest party to lead an AMP coalition government in a period of cohabitation with a Fretilin president. This is the path favoured by the AMP.A third way forward is a renegotiated government of national inclusion reflecting the power distribution in parliament, a possibility that faces the obvious hurdle that Mari Alkatiri would probably have to step down as PM. Despite the political ructions, East Timorese society remains largely calm. Leaving aside the return of a more belligerent form of democracy and the accusations of an institutional coup, this political standoff demonstrates that the checks and balances in the constitutional system are operating, with strong executive accountability to parliament. Elections in other democratic nations ­ and not just those with proportional voting systems ­ have failed to produce sustainable governments. This does not, of itself, constitute a political crisis. The PLP has argued throughout that Fretilin’s possession of the three sovereign posts of president, prime minister and president of parliament is unreasonable given its 30 per cent vote share. While this position is a compelling one, it should also be recalled that the president received the active support of CNRT in his campaign, a final legacy of the power-sharing era of 2015–17. Like the president of parliament, therefore, current arrangements reflect a time when opposition positons were still in flux: a fact that ought to cool political tempers on both sides as next phase approaches. Despite announcing a breakthrough in their protracted negotiations over a maritime boundary in August, Australia and East Timor have yet to finalize an agreement that would allow them to move forward on the joint development of an important natural gas field. The delay is in part due to the difficulties of conducting a trilateral negotiation involving the two governments as well as private interests. In an email interview, Bec Strating, a lecturer in the department of politics and philosophy at La Trobe University in Australia focusing on Indonesia and East Timor, which is also known as Timor-Leste, explains the background to the maritime dispute and how crucial the natural gas field in question is to East Timor’s flagging economy. WPR: What is at stake in the maritime dispute between Australia and East Timor, and why has the process of finalizing an agreement stalled? Bec Strating: There are a number of elements in the dispute regarding maritime boundaries and the development of hydrocarbon resources in the Timor Sea. With regard to the former issue, Australia has preferred delaying the delimitation of permanent maritime boundaries, while East Timor has more recently pushed for permanent boundaries. In 2006, East Timor and Australia agreed to a 50-year moratorium on maritime boundary delimitation in an agreement known as CMATS, which was designed to develop a contested but lucrative natural gas field in the Timor Sea called Greater Sunrise. The agreement laid out a revenue-sharing deal whereby Australia and East Timor would each receive 50 percent of the gas revenues. However, the CMATS agreement also put aside the issue of how the field would be developed. East Timor wanted a pipeline to run from the field to its south coast in order to process the gas there, but the commercial venture partners deemed this unviable. Ultimately, this impasse led to East Timor’s leaders renewing their pursuit of permanent maritime boundaries as leverage to advance its interests on the pipeline. Currently, both states are in talks as part of a compulsory conciliation process initiated by East Timor in April 2016. As part of this process, East Timor has dropped the international court cases it had brought against Australia, and in return Australia assented to dissolving the CMATS agreement. In August it was announced that Australia and East Timor had reached a breakthrough on the issue of a maritime boundary, agreeing to the central elements for permanent boundary delimitation. A treaty text has yet to be made publically available, but is reportedly ready to be signed and ratified by the states. The main issue, however, remains the development plan for Greater Sunrise. The agreement on boundaries hinges upon whether East Timor, Australia and the commercial partners can reach an agreement on how the gas from the field can be developed. If East Timor’s representatives continue to press for a pipeline, then the whole deal could come unstuck. Given that the talks are confidential, it is difficult to assess how they are progressing. WPR: How important is the Greater Sunrise natural gas field to both countries, and how have the private partners developing the field influenced negotiations? Strating: The gas field is far more important for East Timor than Australia in terms of economics. Around 90 percent of East Timor’s state budget relies on oil and gas revenues from the Timor Sea, in a development area known as the Joint Petroleum Development Area, or JPDA. The resources in this area are expected to run out in the early 2020s, leaving East Timor without a significant income stream aside from its petroleum fund, which has over $16 billion but is being quickly depleted. Based on current spending trends, East Timor may be broke within a decade. Around 80 percent of the country’s GDP is generated by oil and gas­East Timor’s next biggest export, coffee, generates only around $15 million a year­making it one of the world’s most oil-dependent nations. So its short- and mid-term economic viability depend upon the development of Greater Sunrise gas. However, in terms of strategic interests, Australia has not wanted to engage in boundary delimitation with East Timor because it fears that it will open the door for Indonesia to try and unravel the maritime boundaries between Indonesia and Australia. These boundaries were drawn in the era before the United Nations Convention on the Law of the Sea, or UNCLOS, which means that Australia was able to persuade Indonesia to accept a line closer to Indonesia’s coastline due to the principle of natural prolongation. Post-UNCLOS, the accepted principle is the median line, which, if applied, would drag that boundary closer to Australia. The role of the commercial venture partners is significant. Currently, the consortium led by Australia-based petroleum company Woodside Petroleum has been instrumental in blocking East Timor’s plan for development on the grounds that it is commercially unviable. Many oil and gas experts agree with Woodside that the pipeline and the south coast processing centers would cost more than they would provide in social and economic benefits, and that the best options are to use the existing facility based in Darwin, Australia, and to employ a floating platform for processing the gas. Australia has effectively deferred to the venture partners­if it is not deemed commercially viable by them, then Australia will not support it. This makes this a fascinating case study in an international trilateral negotiation held effectively between two states and a commercial consortium. WPR: How have East Timor’s internal politics affected negotiations with Australia, and how do you anticipate this playing out? Strating: The first thing to note here is that East Timor’s lead negotiator is Xanana Gusmao, a former president and prime minister who is currently the leader of the opposition coalition, as well as minister of planning and strategic investment. That an opposition leader is heading the negotiations indicates the unity of the different parties on the issue of the Timor Sea, as well as Gusmao’s status in Timorese politics as a liberation hero. An agreement without Gusmao would likely fail, as he remains a powerful figure among the Timorese public. At the moment it appears that negotiations have continued on as they had before East Timor’s parliamentary elections, which were held in July, although I must stress that the talks are highly confidential, so things may not be as they appear. In this way, the negotiations have been somewhat divorced from the internal chaos that has stemmed from those elections, in which no party managed to secure a majority. The party that received the plurality vote, FRETILIN, has been unable to pass its national program through parliament, which potentially sets the scene for a constitutional crisis. How this might impact the negotiations is unclear, however. In any event, it seems that there are a number of challenges that need to be circumvented before the treaty text on maritime boundaries will be signed and ratified. East Timor, one of the world’s poorest countries, could still be an economic success story despite reports its main oil and gas fields will run dry by 2022 and it will go bankrupt by 2027, its former leader says. Devastated by years of foreign occupation, Southeast Asia’s youngest nation has relied heavily on its dwindling energy sector, which accounted for 78 percent of its 2017 state budget. Speaking on the sidelines of International Civil Society Week in the Fijian capital, Suva, Jose Ramos-Horta – who served as prime minister from 2006-2007 and president from 2007-2012 – insists his country, once seen as a poster child for developing nations, can overcome its economic hurdles. “East Timor is only 15 years old. If you saw what my country was like at the start of this century, you’d be shocked,” Ramos-Horta told Al Jazeera. Indonesia annexed East Timor, which sits at the eastern end of the Indonesian archipelago, in 1975 when long-time colonial power Portugal set it free. Indonesian strongman Suharto’s military swept across the country in a lightning offensive, laying waste to entire villages with US-made weapons and equipment. More than 100,000 East Timorese were killed during the 24-year occupation in what academics from the University of Oxford and Yale University have called genocide. When Indonesia finally left in 1999 following a UN supervised independence referendum, more than 80 percent of the country’s infrastructure had been destroyed. The country became fully independent in 2002 after a three-year period of UN administration. Ramos-Horta, who was co-awarded the Nobel Peace Prize in 1996 for lobbying foreign leaders for Indonesia’s withdrawal, said his government planned for the depleting oil and gas reserves, with the country’s economic future no longer reliant on its offshore deposits. “Unlike many other oil and gas producing nations, we immediately created a sovereign wealth fund. We started with £250m and now we have more than $16bn in the bank. “At the time, the law said 90 percent of oil and gas revenues will go to buying US treasury bonds. Ten percent, we could use to diversify. Since we didn’t have a lot of experience in the international market we decided to invest everything in US treasury bonds. Speaking to the media in 2008, the US-educated politician quipped East Timor could become the “next Dubai”. But tensions have simmered in the nascent democracy over income inequality and high unemployment. According to the World Bank, 41 percent of East Timor’s 1.2 million people live on less than $0.88 per day. The current government, led by Prime Minister Rui Maria de Araujo, faces increasing pressure to generate new jobs with 60 percent of its population aged under 25. The country’s main oil and gas field, the ConocoPhillips-operated Bayu-Undan project, provided about $20bn to the economy over the past 10 years, but it is expected to cease production between by 2022. “We changed our laws in 2009 to allow bigger changes to our economic portfolio. We now have more than 1,000 investments around the world,” Ramos-Horta said. “We have hundreds of people studying for their masters in countries abroad. At the same time, we are investing wisely. We are living off these investments. However, researchers at the Dili-based think-tank La’o Hamutuk said unless new sources of income are found, the country could go bankrupt as early as 2027. La’o Hamutuk warned East Timor’s parliament last year the 2017 budget of $1.39bn would require a withdrawal of more than $1bn from the petroleum fund. With the government planning to take out almost four times the estimated income every year between 2018 and 2021, the fund’s balance will fall by at least $3bn, to $13bn. The think-tank urged the government to reassess several mega-projects, questioning their “benefits for the majority of Timorese people”. “These projects will displace local communities, use up valuable agricultural land, destroy farmers’ livelihoods and pollute the environment. Meanwhile, the money spent in them comes from a finite total, and is no longer available for necessary projects, sustainable economic development, equitable projects, and social services for everyone,” it said. Aside from oil, agriculture is a key component of the economy, providing subsistence to about 80 percent of the population. The most significant commodity export is coffee, which accounted for $30m of annual exports in 2016. East Timor’s three opposition parties say they are ready to form a parliamentary majority alliance to take office if programs of a newly sworn-in minority government fail to gain support, as political tensions rise again in Asia’s newest democracy. The two-party government led by Prime Minister Mari Alkatiri holds only 30 seats in the 65-seat parliament, five less than the opposition parties, giving the government a tenuous hold on to power. In September when he took office, Mr Alkatiri promised MPs from his Revolutionary Front for an Independent East Timor (Fretilin) and the small Democratic Party would bring political stability to the half-island nation that has seen bouts of political turbulence in the past. But behind-the-scene tensions could come to a head as early as this week when the government presents its program to parliament. Under the country’s constitution the president is required to test whether another party can muster a majority if the government’s program is rejected twice. Michael Leach, an expert on East Timor from Swinburne University of Technology, said that while the development is clearly a threat to the minority government it is not clear that an alternative majority alliance is being proposed. He said there are as yet no signs that Mr Gusmao and Ruak – neither of whom have taken seats in parliament – have reconciled political differences. Professor Leach said Mr Gusmao’s party MPs may have signed the letter to pressure the government to “stick to the policy settings” of the previous government that included building big spending mega-projects, such as an industrial complex on the country’s remote southern coast. Professor Leach said what is less easy to understand is why Mr Ruak’s PLP, which explicitly ran against the policies of the former government, would support the letter. “It may be that they see a general advantage in parliament flexing its muscles and in questioning the action of the president, who is also from Fretilin,” he said. Mr Gusmao, the country’s hero of independence and former president and prime minister who continues to wield enormous power, was out of East Timor when the letter was sent. But analysts say his party MPs would not have signed it without his support. Mr Gusmao led his country’s delegation that in September reached a landmark agreement with Australia on developing billions of dollars of oil and gas reserves in the Timor Sea that ended years of disagreement. Details of the agreement that defines maritime boundaries as well as sharing arrangements for the US$50 billion Greater Sunrise oil and gas field are expected to be made public later in October. Almost two months since the 22 July election, a new government will be sworn in today in Dili. Fretilin, with 23 seats in parliament, has joined with Democratic Party (PD) which has seven representatives, giving them 30 seats in the 65-seat house. As recently as Wednesday* a majority government was expected until the five MPs from the youth-focused party Khunto withdrew at the last minute, surprising many in Dili by not attending the agreement signing ceremony. It appears Khunto made demands for ministries in excess of its size, which Fretilin would not meet as they compromised the principle of proportionality that had been agreed between the three parties. While Khunto now appears to be out of the picture, the coalition signing ceremony between Fretilin and PD proceeded on Wednesday, and late on Thursday President Francisco ‘Lu Olo’ Guterres appointed Fretilin leader Mari Alkatiri the new Prime Minister of Timor-Leste. The new government will be sworn in late today after the first formal session of the new parliament. It will include ministers from Fretilin and PD, and will also see with some independents appointed, including Jose Ramos-Horta, who will be a Minister of State with an additional role as advisor on national security. Prime Minister Alkatiri will also be the Minister of Development and Infrastructure, and the outgoing Prime Minister Rui Araujo will become Minister of Health. New faces in the ministry include the former rector of the national university Aurelio Guterres, who becomes Foreign minister. Senior PD figures will take central roles in the presidency of the Council of Ministers, and in Commerce and Industry, among others. It is understood the new PM has decided which portfolios will be allocated to each party. Only twelve of 30 ministerial and vice-ministerial positions will be sworn in today. The new Fretilin-led minority government formalises a shift from the previous government (which was based on an informal power-sharing agreement between the two largest parties, CNRT and Fretilin) and the end of a decade of governments led by the CNRT chief and former resistance leader Xanana Gusmão. After narrowly losing the July election, CNRT has said its 22 MPs would serve in opposition, though it would support the government on key votes such as the budget. It is understood CNRT will in effect offer the new government ‘incidencia parlamentar’, a Portuguese term for confidence-and-supply arrangements with parties that do not formally join the government. For his part, the President consulted opposition parties and has stated he is satisfied the new government will have adequate support on confidence, the government program, and budget, despite its minority status. Perhaps most interestingly, while this leaves the CNRT and the immediate ex-President Taur Matan Ruak’s Popular Liberation Party (PLP) formally in opposition, Fretilin’s vision of a ‘government of grand inclusion’ will see certain individuals associated with both parties offered ministries. The practice of ‘loaning’ individuals from the opposition parties to serve in government started with the previous government. Whether these offers are accepted remains to be seen, but the offers will be significant in themselves. Though the character of the government has changed, some elements of informal power-sharing appear to continue. The new Minister of Finance, Rui Gomes, for example, was a Chief of Staff to former President Ruak and believed to be close to the PLP, though he has been appointed in a personal capacity. The formation of government has been slow. Until early last week, it appeared Fretilin would form a parliamentary coalition with the PLP, which ran on a platform of greater government transparency and increased attention to basic development indicators rather than the megaprojects favoured by the outgoing government. Negotiations with PLP were, however, unduly protracted, and faltered over the issue of who would serve as President of Parliament (approximating the Speaker). In the end, Fretilin’s candidate for President of Parliament, Aniceto Guterres, won narrowly by 33 votes to 32, indicating that three members of PD or Khunto voted for the CNRT’s Aderito da Costa. This outcome suggests the new parliament may be a lively one, providing more surprises and greater accountability over the executive than the previous, something Dili’s civil society has been calling for. How stable will minority government be? Though many in Dili’s active social media are uncertain about the constitutional implications of minority government, the constitution provides that the ‘most-voted’ party or the coalition of parties with a majority may nominate the PM, precisely because the latter is not always possible. For the government’s minority status to trigger a change of government, its formal program would have to be rejected by parliament twice. Given the CNRT offer of ‘incidencia parlamentar’, and similar assurances from PLP and Khunto, there seems little chance the Fretilin-PD government program will not pass. While the potential for no-confidence votes remains inherent to minority status, there is presently no appetite for alternate coalitions among the non-government parties, with relations between CNRT and PLP perhaps the least amicable of any combination. The smaller parties are also averse to the prospect of early elections as they lack campaign funds, though the constitution prohibits another election for at least six months in any case. With these factors and Fretilin’s efforts at inclusion, the prospects for stable minority government seem sound, at least in the short to mid-term. Fretilin envisages this as a different model of democracy, one that favours Timorese-style inclusion over Western-style conflict, and builds on the consensus model of the previous government. For its part, PLP seems set on a more conventional idea of opposition, and many in Dili will welcome a strong opposition voice – something Timor-Leste lacked under the power-sharing arrangement of the last government. In a move likely to be welcomed by civil society, Aniceto Guterres has promised a new anti-corruption law. There is also pressure from civil society to reduce the excessive infrastructure spending to make Timor-Leste’s sovereign wealth fund more sustainable, and to diversity the economy to reduce oil and gas dependence. Despite the chequered path to forming government, Mari Alkatiri’s return to the prime ministership has proved largely uncontroversial. None of the five parties in parliament has opposed his candidacy, with the prevailing view that the Prime Minister should be the person with full authority in the most-voted party. Even the powerful Catholic Church – a major opponent of the first Fretilin government – has expressed support. The obvious alternative candidate was the current occupant, Fretilin’s Rui Araujo, installed with CNRT’s support in 2015. With Timor-Leste’s political-military crisis only 11 years in the past, Alkatiri’s ascension to PM is a sign not only of Fretilin’s recent campaign success, but also of how consensus-style politics have reduced the temperature of conflict within Timor-Leste’s political elite. The new parties to emerge also suggest shifting political values in East Timorese society. The PLP appealed to younger voters more concerned with transparency and accountability, and less with the value of political stability favoured by older voters who witnessed the great upheavals of Timorese history. Part of the electorate also turned against megaproject-style developments in favour of basic development indicators. For its part, Khunto appealed directly to unemployed youth. Perhaps most importantly, the 2017 elections suggest that while participation in the independence struggle remains a powerful factor in political legitimacy, it does not compel new voters in the same way. For this group, issues like youth unemployment are more important. Perhaps the key lesson of 2017 elections is that Fretilin appeared to detect this shift sooner than the CNRT. Where the CNRT campaign once again highlighted Gusmão’s historical leadership of the resistance, Fretilin ran a disciplined campaign which instead emphasised development policy, and played to its leader’s strengths. The PLP made its own critique of Timor-Leste’s economic direction and was also led by a major resistance figure in Ruak, which saw it capture some of the non-Fretilin vote from CNRT. Finally, while Gusmão himself remains popular, other figures recently installed in the CNRT leadership team proved far less so. Despite this week’s surprises, the 2017 election cycle represents a substantial political victory for Fretilin, which now holds both the Presidency and Prime Ministership. Nonetheless, there are plural sources of power in the parliament, which will keep the new government more accountable than the old. Importantly too, Xanana Gusmão remains a senior figure in East Timorese politics, and Fretilin remains keen to have him inside the tent. The incoming government was at pains to emphasise support for Gusmão’s continuing leadership of the maritime-boundaries negotiating team, and did not intercede in the recent negotiations in Copenhagen. The deal announced last week in the maritime boundary dispute with Australia appears to provide for a median ‘east-west’ boundary in the Timor Sea, and substantially increased revenue for Timor-Leste from the untapped Greater Sunrise, though it falls short of full East Timorese control over that field. If these outcomes are confirmed next month, it will represent a substantial (though not complete) win for Timor-Leste. Last Monday the East Timorese negotiating team, led by Xanana Gusmão, arrived home to considerable public fanfare. Gusmão may also be offered Chief of a new Tasi Mane development authority, the ambitious south coast development project sponsored by the former government, which will likely continue in scaled-back form. In terms of policy, a Fretilin-led coalition should see increases in annual spending on basic development indicators like health, education and agriculture, reducing the emphasis on megaproject-led development, though the shift may not be as profound as a coalition with the PLP might have produced. While Fretilin will continue major infrastructure programs such as the Special Economic Zones for Social Market Economy in the exclave of Oecusse, the sheer scale of contract spending is likely to reduce. This will be a difficult transition and will see the political economy of Timor-Leste alter in ways that are beneficial for economic sustainability, but potentially challenging for political stability. An inclusive approach to governance will aid the transition. Mari Alkatiri has said the incoming government will be characterised by political inclusion, by efforts to reduce uneven development between city and rural areas, and by the fight against corruption. Some have expressed concerns over political stability without the powerful combination of Fretilin and Gusmão. Yet a change in government may instead improve popular faith in institutions, tarnished by recent protests against the exorbitant government car fleet and the life pension scheme for MPs. While de facto power-sharing between the two major parties brought a type of political stability, a transition of power that is respected by all parties, and overseen by an active parliamentary opposition, might represent the more durable institutional form. How former leaders are accommodated in the new arrangements may prove the most interesting question, and may also be instrumental to the stability of the minority government. *Editor’s note: This post updates an earlier version published before Khunto withdrew. In a major joint announcement on Saturday, Timor-Leste and Australia declared they had reached an agreement on “central aspects” of a maritime boundary determination. Since April last year, the two countries have been involved in a Compulsory Conciliation Process under the UN Convention on the Law of the Sea, or UNCLOS, initiated by Timor-Leste. While full details remain confidential until a further announcement next month, the agreement will create permanent maritime boundaries and revised resource-sharing arrangements in the yet-to-be-developed Greater Sunrise oil and gas field. This is a major step forward for the resolution of the long-running dispute between two neighbours. Most importantly, it seems highly probable that Timor-Leste has secured a median-line boundary in the Timor Gap, creating a permanent maritime boundary for the first time. While many in Australian foreign policy circles have assumed that Australia would limit its negotiations to revenue sharing, and wouldn’t countenance permanent maritime boundaries or depart from its older claim for the “natural prolongation” continental shelf boundary, the ground appears to have shifted. If this proves to be the case, it will represent a major victory for the small nation and a clear endorsement of the UNCLOS Compulsory Conciliation process. A median-line boundary will place 100 per cent of the present Joint Petroleum Development Area in Timor-Leste’s sovereign waters, where current treaties divide the revenue from existing fields, such as Bayu-Undan, 90–10 in its favour. This is an important outcome for Timor-Leste’s sovereignty, and will be hailed as a major victory in Dili, but it’s important to remember that these fields are nearing the end of their life. Far more financially significant is the as-yet-untapped Greater Sunrise field, worth in excess of $40 billion. While Timor-Leste has respectable legal opinion suggesting that the entire Greater Sunrise field could be in its maritime waters under UNCLOS, this was always a trickier proposition, as the field straddles the eastern lateral (or side) boundary of the Joint Petroleum Development Area. Unlike the relatively straightforward and media-friendly median-line principles governing the east–west boundary, the north–south laterals involve far more complex technical considerations, with competing options for baselines and offsets. While Timor-Leste was clearly entitled to more of Greater Sunrise than current treaties allowed for, the lateral boundaries question could have opened up a minefield of differing interpretations. Importantly, shifting the laterals might also involve renegotiating aspects of the previously settled 1972 Australia–Indonesia boundary, an outcome Australia has sought to avoid at all costs. Despite Timor-Leste’s opening bargaining position, therefore, compromise in this area was always a strong possibility, in favour of a bigger win represented by a median-line boundary and increased upstream revenues. Such revenues from Greater Sunrise will be especially critical to Timor-Leste’s future. Earlier treaties placed 20 per cent of Greater Sunrise in the Joint Petroleum Development Area, giving Timor-Leste just 18 per cent of future revenues under the 90–10 split. The subsequent and now defunct Treaty on Certain Maritime Arrangements in the Timor Sea, or CMATS, increased Timor-Leste’s share to 50 per cent, but delayed permanent maritime boundary negotiations for fifty years. Though Timor-Leste acceded to CMATS, it had no option for an adjudicated settlement as Australia had withdrawn from international dispute resolution jurisdictions, putting the issue firmly in the realm of power politics. With the 2006 treaty process marred by damaging spying allegations against Australia, Timor-Leste opted for the final avenue open to it: a compulsory (but non-binding) conciliation process, which has never previously been employed under the UNCLOS treaty. In January this year, the country announced it would terminate CMATS, and Australia agreed not to challenge that move. It was a win for Timor-Leste, but it was also a high-stakes gamble, reverting the young state’s guaranteed share of Greater Sunrise revenues to 20 per cent pending a new negotiation. The gamble appears to have paid off. It is highly likely that the renegotiated agreement will see a substantial increase in Timor-Leste’s share of the future Greater Sunrise revenues from the 50–50 offered under CMATS, while allowing for joint development of the field under a special regime for Greater Sunrise. The final agreement will also determine the contested issue of where the pipeline from Greater Sunrise will land for downstream processing — in Australia or Timor-Leste — or whether it will be a floating platform, as preferred by the commercial partner Woodside. From Australia’s perspective, the fact the agreement appears to retain the current “trilateral” endpoint markers of the Timor Gap will also be considered a win, as it means the 1972 boundary with Indonesia will not need to be revisited. This was Australia’s baseline position. While some critics might see the outcome as a retreat from Timor-Leste’s opening gambit, no one should doubt the strength of Australia’s earlier resolve to delay maritime negotiations indefinitely or, failing that, to stick to its longstanding continental shelf claims. Australia was defending the existing arrangements as recently as last year, and even now many in the Department of Foreign Affairs and Trade remain convinced of the merits of that position. The agreement therefore represents a major shift for Australia. Labor’s change of policy in early 2016 clearly had an impact behind the scenes, shifting a previously bipartisan consensus. Recent pressure from the United States for a resolution of the maritime boundary dispute, with the South China Sea controversy in the background, provided further incentive for Canberra to reach an agreement. The resolution of this long-running dispute opens the way for a major improvement in relations between the two neighbours, which have been at a low point in recent years. As Kim McGrath’s timely new book, Crossing the Line: Australia’s Secret History in the Timor Sea, shows, Australia’s role in the Timor Gap has been a sorry one since the 1960s, when Australian authorities issued exploration permits north of the median line in the 1960s with no clear legal basis — an act that was challenged by the colonial power, Portugal, but later accepted by Indonesia in return for concessions on East Timorese self-determination and support for Indonesia’s controversial “archipelagic principle.” As McGrath makes clear, our foreign policy was unduly determined by the desire to close the Timor Gap along the same favourable lines determined in 1972 with Indonesia. Saturday’s outcome is a major achievement for the East Timorese negotiating team, led by former PM Xanana Gusmão and minister of state Agio Pereira, backed by the Maritime Boundary Office and its legal team. While Fretilin narrowly won the 22 July election, and will lead a new cross-party government, it is understood that there has been no interference from the incoming government, which has been at pains to respect Gusmão’s stewardship of the well-advanced process. The maritime frontiers strategy was firmly in place before the election, with September’s session in Copenhagen always likely to be the make or break. In the end, the breakthrough became evident when Gusmão finally revealed the sort of outcomes acceptable to Timor-Leste. The Conciliation Commission itself is to be congratulated on producing a workable compromise from potentially heated negotiations. 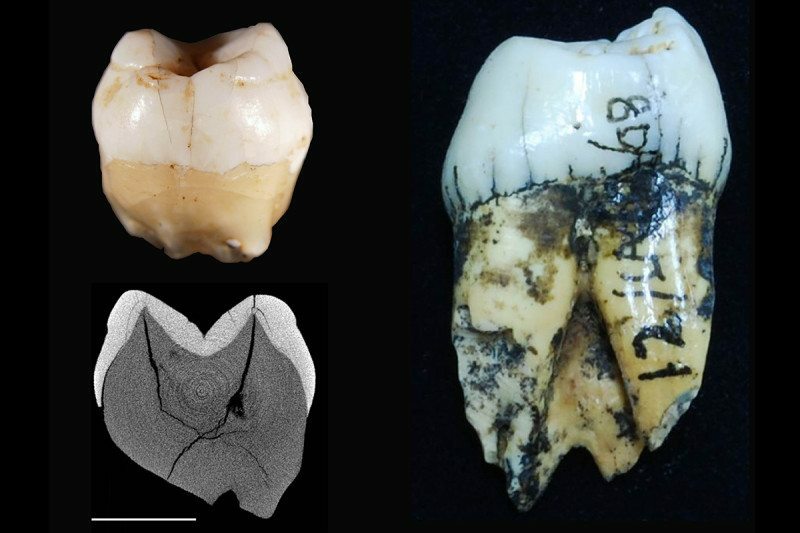 Two ancient teeth found in an Indonesian cave hint that our species had arrived there as early as 73,000 years ago – and may have had to deal with the biggest supervolcano eruption of the last few million years and also adapt to the challenges of living in thick rainforest. Many archaeologists were puzzled by the recent discovery of 65,000-year-old stone tools and other artefacts in northern Australia. According to traditional thinking, early members of our species, Homo sapiens, were just beginning to venture out of Africa at this time. Kira Westaway at Macquarie University in Sydney, Australia, and her colleagues have discovered that H. sapiens probably did set foot in these islands more than 65,000 years ago. The team took another look at two teeth dug up by Dutch archaeologist Eugène Dubois in Lida Ajer cave on the Indonesian island of Sumatra in the late 19th century. Partly through comparisons with orangutan fossils found nearby, they confirmed the teeth belong to our species – and using a modern dating technique known as electron spin resonance dating, they dated them between 63,000 and 73,000 years old. “This is a significant finding because it supports emerging ideas that modern humans left Africa and reached Australia much earlier than we thought,” says Michelle Langley at Griffith University in Brisbane. The discovery is also consistent with recent genomic analyses suggesting that our ancestors left Africa over 75,000 years ago and reached Indonesia more than 60,000 years ago. But the archaeology hints that the first members of our species to reach Sumatra faced a tough life. They may have been present in Sumatra when the island’s now-dormant supervolcano – Toba – gave rise to one of Earth’s biggest known eruptions, perhaps about 71,000 years ago according to recent estimates. If that didn’t wipe out the early population, they would have had to adapt to Sumatra’s rainforest environment – very different from the savannahs of Africa where humans evolved.